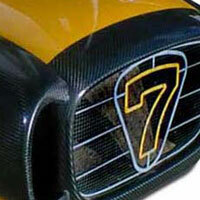 We offer a range of different aftermarket parts, products and enhancements for the Caterham 7 kit car range including Carbon Fibre racing bucket seats, air box & induction kits, body panels, front wings, diffusers, and gear knobs. All our Caterham accessories are manufactured from 100% Pre-preg Autoclave cured Carbon Fibre for superior rigidity and finish and can be shipped worldwide. Because we design and manufacture all our Caterham parts and products in-house, we are able to provide certain customisations and potentially tailor our products to suit your application upon request, please contact us first before ordering to discuss your requirements. 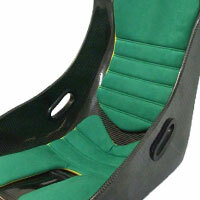 We manufactured a bespoke Carbon Fibre Bucket seat for the Caterham 7 which is also available with a cushion kit in different colours/materials. Designed for sporting applications. 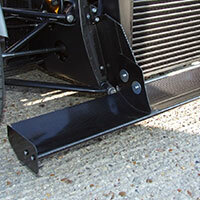 Occasionally we are contracted to design and build bespoke components for Caterham Seven cars by owners. 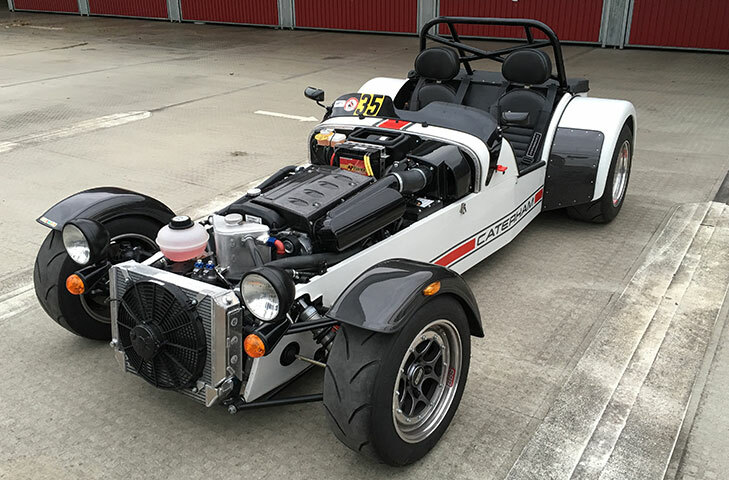 An example of this is when we were approached by Russell Savory of Motopower to develop several parts for a new 2.0L and 2.4L 40V V8 Engine fitted into a Caterham Seven. 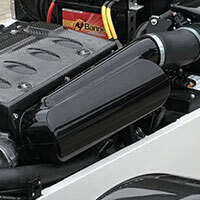 The components required included an airbox with moulded-in trumphet bases, twin filter tray to accept high flow K&N elements and either a box lid that could be fitted with intake snorkels for mid engine locations, or a bonnet scoop for front engine applications. A bare chassis with engine in situ, bonnet, scuttle and nose cone was provided on which we CAD modelled a suitable base and filter tray and had a male base tool CNC machined from high temperature tooling block (as it was deamed as a prototype only, the later production part would be plastic requiring alloy tooling). A box lid for the snorkelled applications was patterned by hand from painted MDF and a high temperature GRP tool made inhouse. The bonnet scoop was again a hand-machined pattern and a composite pre-preg tool was made as volume production was envisaged. 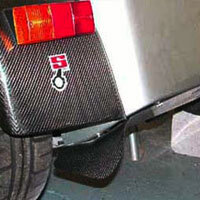 The cover and scoops are now production parts available exclusively from motopower, produced by us. The prototype Carbon air box having now proved successful, has become a volume plastic part produced elsewhere to keep costs lower.